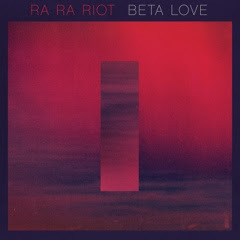 Atlas and the Anchor: Stream It From The Mountain: Ra Ra Riot - "Beta Love"
Stream It From The Mountain: Ra Ra Riot - "Beta Love"
Tomorrow, the sophisticated indie-pop band Ra Ra Riot are set to release their third album, Beta Love, on Barsuk Records. After some lineup reshuffling, the band is now down to a four-piece and the Dennis Herring (Modest Mouse, Wavves)-produced album shows a more focused yet more experimental and synth-driven sound that was lyrically and conceptually inspired by noted cyberpunk author, William Gibson. The band is streaming the entire album on their YouTube channel prior to its release on Jan. 22nd.